What is leaky gut and how do you heal it? - Radiant Reality | Nutrition. Healing Arts. Inspired Living. Our gut lining has an important barrier function. It is similar to a net with very tiny holes that allows only certain substances that are small enough to go through, while keeping out larger undesirable particles. If you have increased intestinal permeability, aka, leaky gut, the “net” becomes damaged, resulting in bigger holes that allow more things to pass through that normally couldn’t and shouldn’t. When food sensitivities are involved, inflammatory foods such as gluten and casein irritate the gut lining by creating an inflammation response that can lead to a loosening of the tight junctions which then begin to allow foreign substances, like immune complexes and food particles through. This reaction puts the immune system on high alert and will start attacking any particles that are moving through. This response can eventually lead to auto immune reactions. Due to the inflammatory cascade, other organ systems often become involved in the filtration process and nutrient deficiencies and toxin buildup often result. One of the most frequently used tests, (highly recommended by one of my favorite health care practitioners, Lissa Rankin MD), is the mannitol/lactulose intestinal permeability test. This is an oral challenge test that uses two non metabolized sugar molecules lactulose and mannitol. Normally, tiny water soluble molecules such as mannitol are easily absorbed through cell membranes, whereas larger molecules like lactulose are excluded by the cell membranes because they are too big to get through. The amount of lactulose and mannitol found in the urine 6 hours after the oral challenge can indicate whether the gut is allowing large particles through when it should not. 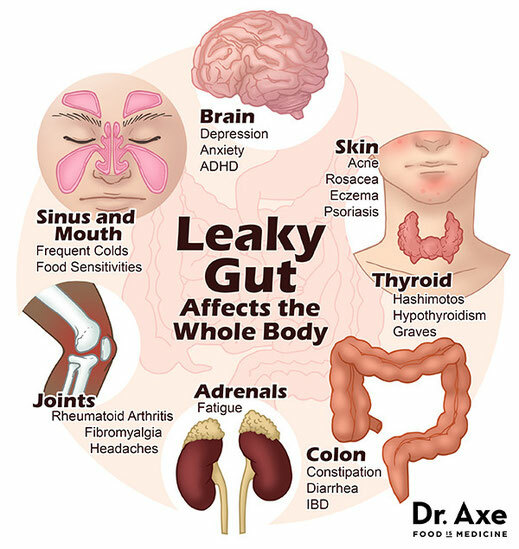 Since there are many culprits for a leaky gut , here are a few things that need to be addressed if you want to bring inflammation in your gut down. It is important to ascertain whether or not there are infections present. Parasites, bacterial, SIBO and fungal infections are very common prioritized and addressed when healing the gut. 2. Food sensitivities / allergies should be addressed. This is an extremely common trigger for leaky gut and should be investigated. Often the foods that we crave, such as dairy, wheat and sugar have an opiate like effect in our bodies and are often actually wreaking havoc on our system. There are a few food sensitivity tests that can be very useful for checking for celiac and cross reactive foods, however the “Gold standard” of inexpensive food sensitivity checks is the elimination food diet. With the elimination protocol, you essentially give yourself as blank a slate as possible, (so you eliminate all inflammatory foods) and then you start slowly adding foods back in, one at a time, to see what foods you feel better on and what makes you feel worse. It helps to keep a journal to help assess where you stand with the food you are ingesting. 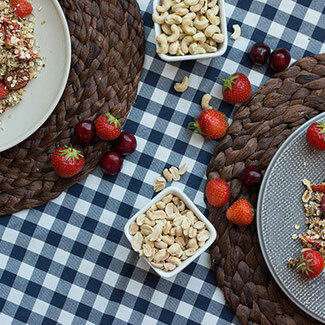 When looking for food triggers it is key to eliminate foods like, gluten, casein, eggs, and nuts for a period of time. For me personally, eliminating certain foods that I loved was the most challenging yet rewarding change I made. I did a blood test for food sensitivities using a MRT or Mediator Release Test, and eliminated the foods that showed up as highly reactive foods, including my “comfort” food (dairy). The results have been remarkable and my inflammatory markers have dropped considerably as a result. The gut is an inner ecosystem that contains over 100 trillion bacteria. Due to the fact that bacteria in the body outnumber human cells 10-1, it is essential to support with diverse probiotics and nutritional support. There are a multitude of probiotics on the market, however its important to reseed your gut biome correctly with a diversity of strains and rotate the probiotics. It is especially important to use strains that contain Lactobacillus, Bifidobacterium and Baccillus. These strains are extremely important for many reasons. First off, the Lactobacillus shepard out the bad bacteria and “educate” the immune system. The Bifidobacterium colonize and heal the leaky gut by patching and filling in the holes in your gut. The Bacillus are the warriors that are fighting for your behalf on the front lines of your gut terrain. This means, they work to kick out challenging bacteria like H. Pylori and can survive in extremely challenging i.e. acidic territory. All three of these strains are necessary when working to heal and seal the gut. 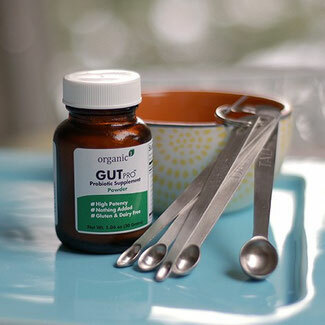 Although there are many probiotics on the market, one of my current favorites, Gut Pro was originally recommended by one of my teachers, Andrea Nakayama. This is a potent combination of 8 strains of probiotics that should be introduced slowly as they are highly concentrated and may cause a die off reaction if not used appropriately. I personally make it into coconut kefir and feed to my family daily. Other easy and delicious ways to get your probiotics is through the use of cultured and fermented foods such as sauerkraut, kombucha, and coconut kefir. These foods can be immensely helpful with digestion and assimilation and are power foods for your body. Other recommended foods include bone broths, which are easy to digest and rich in nutrients, and amino acids. Apple cider vinegar, HCL (after making sure H pylori is not at play in your gut), Insoluble fiber and anti-inflammatory supplements such as l-glutamine, Vitamin A and D, slippery elm, marshmallow root and aloe are other important helpers when you are healing an inflamed gut and rebuilding your ecosystem. This piece goes without saying. But most people that have inflammatory bowel issues are holding too much stress in their body. The mind gut connection is not just metaphorical. When you “feel things in the gut”, you are referring to an information superhighway now known as the “brain-gut-axis”. This axis consists of hundreds of millions of neurons connecting the brain to the enteric nervous system, (a part of the nervous system that is tasked with controlling the gastrointestinal system). This axis is responsible for everything from hunger detection, to stress detection to disease detection. Given the complexity of this system, it is important to calm and regulate your parasympathetic nervous system. Find a practice that brings you peace. 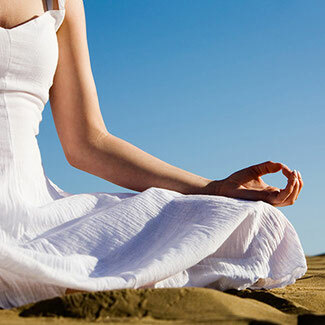 Join a yoga or mediation class that is grounding and take time every day to cultivate love and gratitude. patience and trust and the less static in the system the easier it is for your cells to heal and rewire. Hi Steve. Thanks for your comment! Yes I have experience using Restore and as a prebiotic I do agree that can be beneficial. However, because prebiotics are designed to "feed" the probiotics in your intestinal walls, in my opinion it is extremely important to also use probiotics to "seed" a healthy layer of good bacteria that will protect and heal the GI tract and these are the probiotics I highlighted in my article. I absolutely agree that it is important to rotate probiotics so as not to create a monoculture in our gut but it is important to use specific strains that will benefit your specific needs. For example, the strains in GutPro such as bifidobacterium bifidum reinforces the immune system and lactobacillus planetarium is a powerhouse probiotic that is used for treating irritable bowel syndrome, chrones and colitis...each strain has a specific purpose which is why I recommended this particular formula for leaky gut. Thanks for your input!